Mahito lives at home with her father and her cousin, Erika, who came to live with Mahito's family several years ago after the death of her parents. One fateful, stormy night, Mahito is run down by a reckless motorist. Upon her death, she is reborn with the help of a stranger woman. This strange woman shared a part of her "sacred heart" with Mahito, giving her life as a median, or undead. 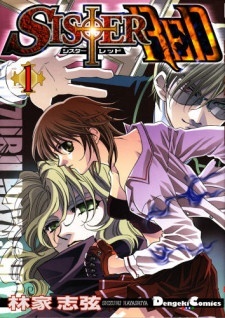 Sister Red was published in English by ComicsOne on March 22, 2005.